With the advent of Sony’s Playstion Move and Microsoft’s Xbox 360 Kinect soon upon us, which will it be? Both have very different marketing strategies but both naturally want as many people to buy into these new little gadgets as possible. With Nintendo Wii being the dominant console over the last few years, with regards to its motion sensitive gameplay, can Move and Kinect really level the playing field or rise above it all with their all-new ground breaking technology soon approaching our living rooms? We thought that we’d setup a comparison between the 2 new rivals and let our readers judge for themselves. We’ll begin with Microsoft’s Kinect. 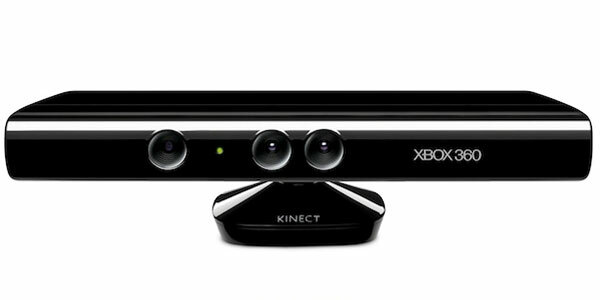 The first thing you’ll notice about Kinect is that there will no need for physical game controllers. The camera reads over a dozen points over a person’s body and reacts accordingly (Perhaps its biggest selling point) Secondly is the pricing which has been reported as $129.99 on its own and comes with a release date as 10th November this year. At the moment the price may seem a little excessive given that a console can be bought for not so much more than that. However this curiously designed camera comes with a big package of specs that will probably give you a headache but we’ll list them here for you to more easily acquaint yourself with the tech. The sensor has colour and depth-sensing lenses with a voice microphone array. As well as this, a tilt motor for sensor adjustment has been included with the form factor. Note too, that this is also fully compatible with existing Xbox 360 consoles. To many this may look a little too much like the wii remote with a make over but Move’s developers argue that its accuracy is much greater and more refined. 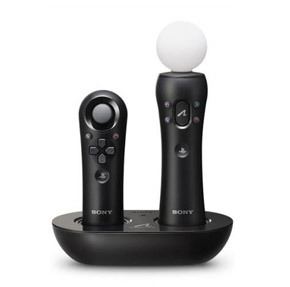 One thing worthy of note though is that the little ping-pong ball looking creation on top of the controller changes colour depending on lighting and interactivity between controller and camera. The release date for this is just around the corner for 17th September and will be priced around $35 for the navigation controller, $45 for the Move controller and about $70 for a starter pack which includes both controllers and a camera for the controllers to interact with. So if you were to buy the starter pack then it would cost you around the same amount as it would do for a decent game. Likewise with the Playstation Move has some pretty impressive specs which you’ll be able to have a peruse through below. 2 DUALSHOCK® or SIXAXIS® Wireless Controller replacement capability. With both the Xbox 360 Kinect and the Playstation Move boasting amazing things, will this be a tough decision to make between the two or have you already made up your mind? Would you pick one over the other or are you one of the lucky few who’ll be picking up both?